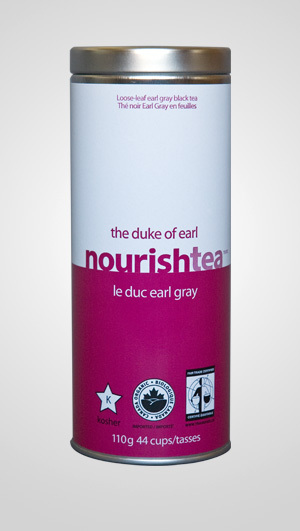 nourishtea earl grey comes exclusively from Sri Lanka (of course). The leaves are grown on steep terrain and unusually high altitudes. The processing of red teas requires full oxidation, and the specific Italian bergamot oil used on our tea leaves creates an incredible citrus aroma, with no bitter after taste at all. From the moment you crack open the tin, the aroma of our earl grey over powers you… its an amazing product and an obvious staple for the kitchen.